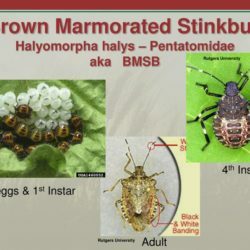 The following information has been received today, and has been provided by the Australian Border Force, and is forwarded for your attention. 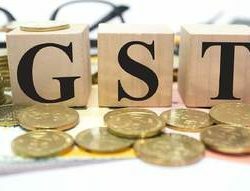 “The implementation of GST on low value imported goods was discussed at the CAG meeting on 20 June 2017 after the Treasury Laws Amendment (GST Low Value Goods) Bill 2017 passed the Senate. We can now advise that the legislation has passed Parliament and will come into force once it receives Royal Assent. The Bill is likely to receive Royal Assent before the end of July. Please find below an extract of advice Treasury has recently provided to stakeholders who had participated in the consultation conducted on the Bill. You will note the strong advice from Treasury that the vendor collection model is not conditional upon the outcome of the Productivity Commission review, and that businesses should start preparing for the changes now. As you may be aware, the federal Parliament today passed the Treasury Laws Amendment (GST Low Value Goods) Bill 2017 with amendments. See the Treasurer’s Media release. Under the legislation passed by the Australian Parliament, from 1 July 2018, suppliers, online marketplaces and re-deliverers with an Australian GST turnover of $75,000 or more are required to register, charge, report and remit GST on sales of low value goods to consumers in Australia (vendor collection model). High value goods (with customs value greater than $1,000) will continue to be taxed at the border. As per the legislation, the vendor collection model will commence on 1 July 2018 and is not conditional on the outcome of a Productivity Commission Inquiry that is required to report on 31 October 2017. The Treasurer, the Hon. Scott Morrison, clarified in his speech to Parliament today that the Government’s policy is to implement the vendor collection model as legislated and that businesses should take the actions needed to implement it on the basis of the vendor model. The Treasurer went on to say the Government will not look kindly on businesses that in 6 months’ time say it is too difficult to implement because they have not prepared for compliance by 1 July 2018. With regard to the ICS changes, the additional fields and GST exemption code are available in the test environment and have been for some weeks. While the additional fields are also visible in the production environment, the GST exemption code of “already paid” will not be available in the production environment until the commencement of the legislation in 2018. Given the availability of the fields in the test environment, and the advice from Treasury above that businesses should start preparing for the vendor collection model now, the Department encourages you to commence work on your required preparations for these changes and advise your members, where applicable, of this advice. 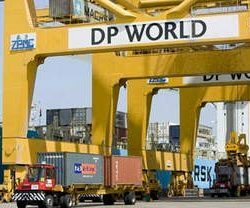 Less than three months after the announcement of an Infrastructure Surcharges imposed on container transport operators by DP World, rival stevedore, Patrick Terminals, has announced increased Infrastructure Surcharges in Melbourne, Sydney, Brisbane and Fremantle from 10th July 2017. The Infrastructure Surcharges will be applied to both road and rail transport operators for all full container movements, both import and export. The Various Transport Alliances believe additional stevedoring competition on the east coast of Australia has naturally led to highly competitive market negotiations for stevedoring contracts, and a commercial reluctance by the stevedores to negotiate higher prices with Shipping Lines to cover their rising costs of doing business. Perversely though, it seems that this doesn’t faze Patrick or DP World, because they can offset these costs with impunity by imposing Surcharges on other parties in the chain who can’t push back. 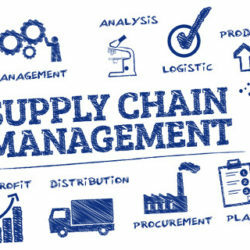 Seemingly too, regulators such as the ACCC and governments have abandoned the container logistics sector and are allowing the market to bear, even though it is clear that the stevedores have unfettered power to impose these charges on a “take it or leave it” basis. The latest announcements by Patrick has been brought to the further attention of the ACCC and asked them again to intervene. Will the ACCC do so? That is a matter for the Competition Watchdog, but if it doesn’t, it’s a clear sign that the system of cost recovery and revenue generation in the container logistics chain in Australia is broken. The existing Carrier Access Arrangements have again been exposed during these last months as being wholly inadequate to underpin the relationship between the stevedores and transport operators into the future. Transport Alliance companies will pursue dialogue with each stevedore to establish proper Service Level Agreements (SLAs), including agreed performance measures, and appropriate mechanisms to have a say in how the millions of dollars collected through these “taxes” are spent to improve landside container logistics efficiencies and productivity. We will monitor any progress regarding these charges, but expect these will be implemented irrespective of any opposition raised. Should there be any further information required, please do not hesitate to contact us. What you need to know about this current NTC project and how it could positively impact supply chain management in Australia. 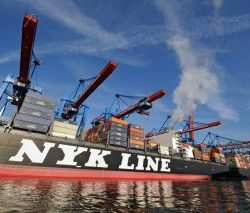 K Line, MOL, NYK to join forces in container shipping. Japan’s big three container shipping companies have agreed to establish a new joint-venture company to integrate their container shipping businesses.